OpenCaching North America Geocaching Blog – Page 2 – A general interest Geocaching blog published by OpenCaching North America. 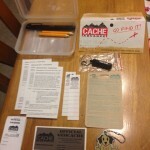 All things Geocaching! 5th Anniversary Pathtag contest winners announced! 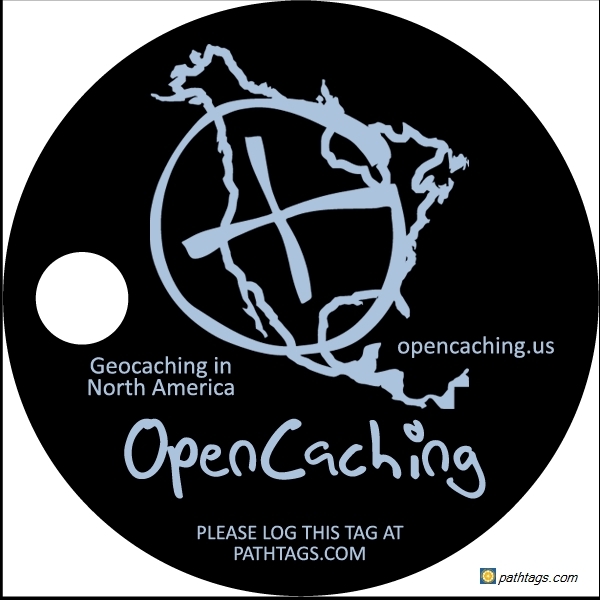 We have the winners of our 4th ever Pathtag contest, which was billed as “Win some OCNA 5th Anniversary Pathtags part Deux”. 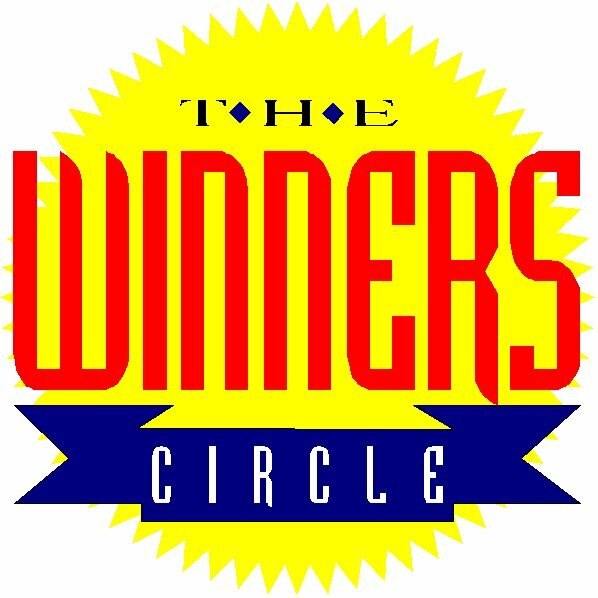 All winners responded within about 12 hours of being notified via email on Thursday night, September 29th. 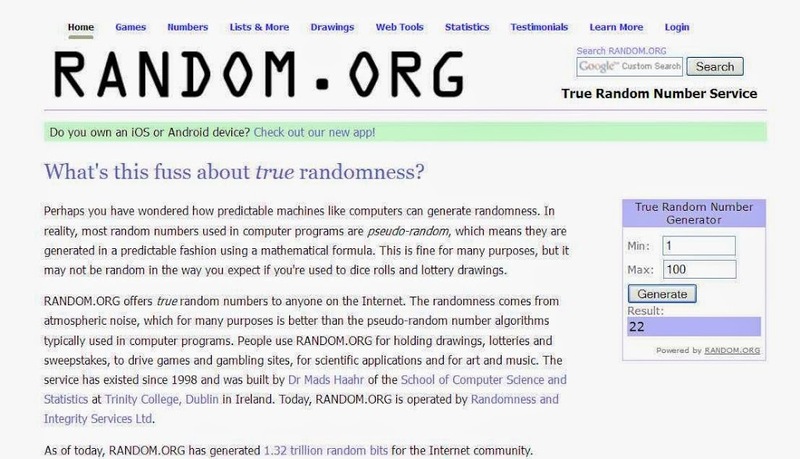 As always, we used the website Random.org to choose the winner(s). We were inspired to do so by drawings in the past conducted by The Outdoor Blogger Network, which we used to be a member of. Unfortunately, that network no longer exists. You put in a Min. number on the True Random Number Generator (and our Google Docs entry forms start at 2), with a Max. of the number of the last entry on the form, and you simply hit “Generate”. 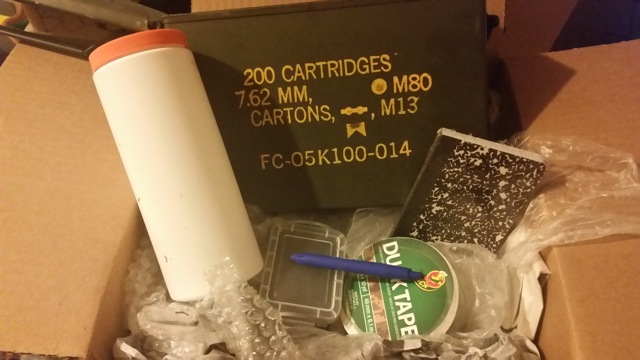 Our Grand Prize winner, of five of our Pathtags was Tad AKA tubatad, a Geocacher from Des Moines. Washington State, that is, not Iowa.The 2nd prize winner, of three Pathtags, was Paul AKA Kingbee, a Geocacher from Bloomfield, New Mexico. 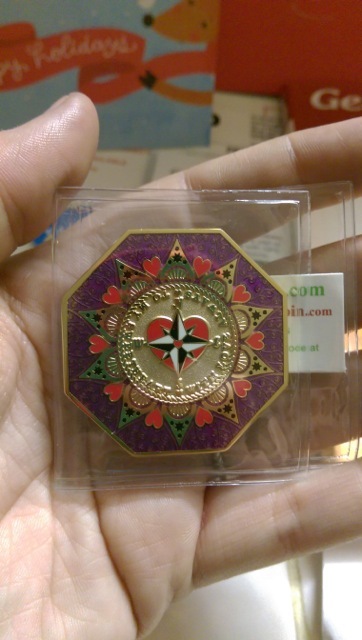 The 3rd prize winner, of two Pathtags was Jason, AKA Bon Echo, a Geocacher from Hamilton, Ontario. Congratulations to all three of them!! Thanks to all who entered the contest as well. Even though our 6th Anniversary has since come and gone. We’ll explain that later. 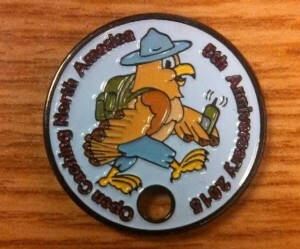 The OpenCaching North America 5th Anniversary Pathtag, (our 2nd Pathtag commissioned) is sold out, and no longer available for purchase to the general public from TheGeocoinStore.com. A total of 510 were produced. However, 400 of those were produced for sale to the general public, and the other 110 were in fact an owner refill (they had a 10% free tags promotion going on the month we ordered our refill). We still have quite a few left, so we’re giving away a total of 10 of them, to three different lucky winners in a blog contest now! Many readers may remember we also gave away 10 of our Pathtags 3 times in the past, starting in September, 2013, with our long retired 1st Edition tag. Not to one person though, we spread them around a little bit. As before, we will have three separate winners. 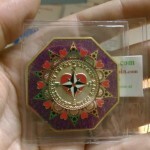 The 1st prize winner will receive 5 of our Pathtags; the 2nd prize winner will receive 3 of our Pathtags; and the 3rd prize winner will receive a paltry 2 of our Pathtags. These tags were designed by our Graphic Artist Nancy, of The Deadliest Cachers, of course with plenty of design input from the OCNA team. 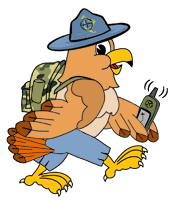 They feature our Mascot Hank The Hawk (also designed by Nancy) and they turned out very nicely, and have an OpenCaching North America tag back (blueprint shown, that anyone can use for their own Pathtags, and it’s design is the major reason our 5th Anniversary tags were produced so late) with the tracking number on our back for logging. 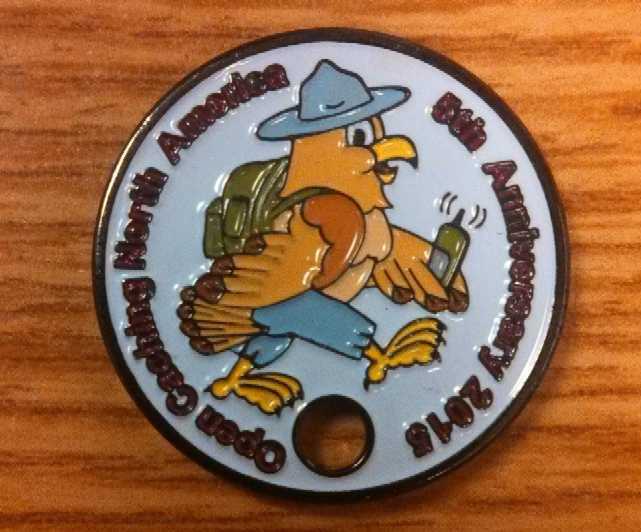 To enter the OCNA 5th Anniversary Pathtag Part Deux giveaway, fill out the form below with your name (as it says, “Geonick” is fine), and a valid email address. Note though, that someone once entered one of our contests as Geonick, and that’s already been done, and was only funny once. (They didn’t win, by the way). We will never use your email address, and the Google Document storing all the entries will be deleted after the contest. There are rules, of course, which appear below, in italicized text above the entry form. Rules: To enter, provide your name and email address in the form below. One entry per person, and one entry per email address. There are no Geographical restrictions, contest is open to anyone in the world. The contest begins upon publication of this blog post on Wednesday, September 21st, 201, and ends at 9:00 PM Eastern Standard Time on Thursday, September 29th, 2016. Three winners will be chosen at random from the entries received. Winners will be notified via email, notification being sent from the email address opencachingnorthamerica at gmail.com (be sure to check your spam folders! ), and must respond within 48 hours, or the prize will be forfeited, and another winner will be chosen. Once the prize is accepted, you must provide a valid mailing address, and the prize will be sent out via the U.S. Postal Service . Contest over, entry form removed! Click to enlarge; hit back on your browser to return to this post. In late June 2013, the website muggled.net appeared on the internet, hosted by InMotion Hosting. 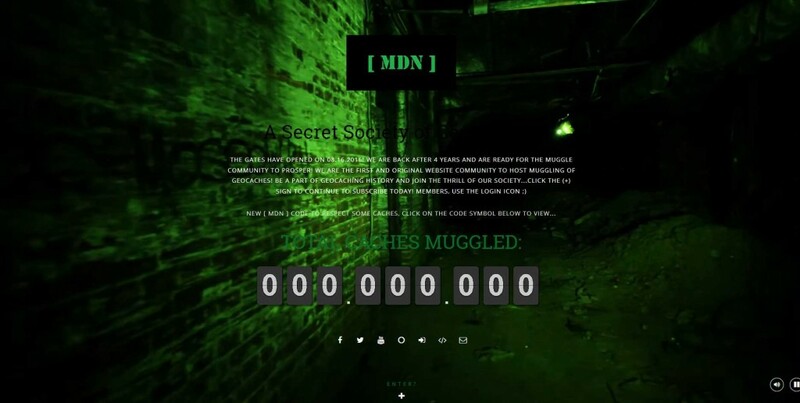 This website encouraged people to, you guessed it, muggle (steal) Geocaches! Within a week of it going online, it voluntarily went dark, as reported by the then popular, but now dormant Geocaching Blog It’s Not About The Numbers. You’ll notice in that blog post, that the crack Brother/Sister team from INATN was easily able to identify the owner of muggled.net via WHOIS information for another website he owned, Off the Grid Caching. 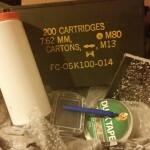 OTGC was a failed attempt at creating an “extreme caches” listing service, which listed maybe 15 caches, all in Florida and Georgia. The screen shot of his face posted by INATN, from personal recollection by the OCNA blogger, was taken from a promotional video for Off The Grid Caching. We are confident this is the same guy; the website is still hosted by InMotion, has the same [MDN] logo in brackets that the old site had, touts itself as being founded in 2012, and being back. This is all despite the owner of muggled.net contacting the INATN blog 3 days after their initial post, and sincerely apologizing for the mistake of creating muggled.net. The “new” muggled.net claims to have been launched on August 16th, 2016. On August 24th, 2016, a Facebook Page “Take Action To Stop Muggled.net” appeared. This Facebook page suggests that muggled.net is in violation of the terms of service of 1) Pay Pal (they offer $30 lifetime memberships), 2) GoDaddy.com (Their domain name Registration company) and 3) InMotion Web Hosting. We agree on all three counts. We have no idea why this guy has apparently reneged on his sincere apology for creating the site in June 2013, but he is most definitely back. We held the drawing (expertly done by DudleyGrunt here) for the winner of a Featherweight vest by SCOTTeVEST on Monday, August 15th, shortly after 8:00 PM Eastern time, and sent the email informing the winner they had 48 hours to claim the prize at exactly 9:00 PM. In less than 2 hours, we heard back from the lucky winner, who is Jesenia, a member of the caching team minions J&D, from Naguabo, Puerto Rico. And lucky she was, she was the 2nd to last person to enter, on the very last day of the entry period! Congratulations to her. It turns out that single every entrant in the contest is a winner too, though. SCOTTeVEST has decided to reward everyone with a 20% off coupon code! We had said in the rules section of the contest that we would never share your email address, so we will go ahead and send out this coupon code ourselves. Look for an email to the address you used for the contest from opencachingnorthamerica at gmail.com. The subject will be SCOTTeVEST 20% off coupon code. We thank all the participants and readers (there were over 4 times as many readers as people who entered the drawing during the entry period), and once again offer our congratulations to Jesenia, whom we have a funny feeling we’ll be hearing from in the future . We are also eternally grateful to SCOTTeVEST for allowing us to be a part of this promotion! 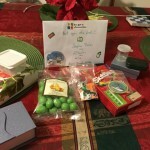 Today we have a guest post by Reddit user /u/minerleaguegamer, who is starting an early blitz to promote the 2016 Reddit Geo-Secret Santa on Geocaching related blogs, vlogs, and social media. We encourage you to participate! Do you love sending and receiving presents? Are you an avid geocacher? 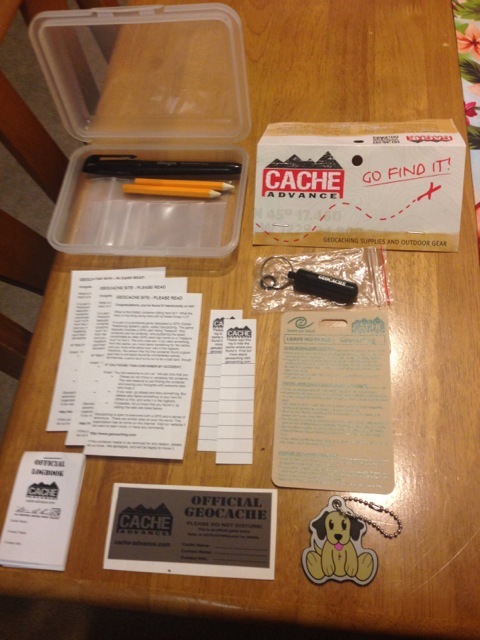 Do you want to be part of a WORLDWIDE geocaching gift exchange? Than the Reddit Geo-Secret Santa wants you! 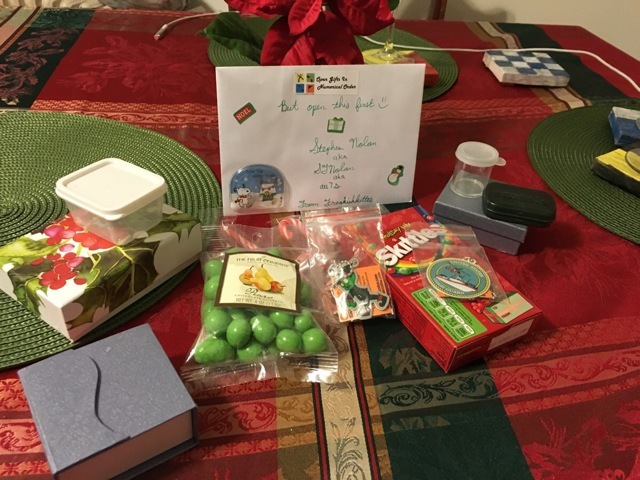 Last year, the first annual Geo-Secret Santa ran on Reddit with gift senders from all over the US. Check out some of the gifts exchanged: (Click any photo to enlarge in a lightbox window, hit the back button on your browser to return to the post). This year we plan to make it bigger and more widespread, and want you to be part of the joy of giving! What is Reddit? Reddit is a social website where users from different communities create groups, called “subreddits.” Subreddits can range from sharing cute pictures of animals to more specific hobbies, like geocaching. Users can subscribe to different subreddits to customize their front page. On each subreddit, users can post a variety of content, including links, pictures, or text posts, and they are rated up or down by other users. The /r/geocaching subreddit has been a community for over seven years. How can you join this year’s festivities? Join the mailing list (here on Google Forms) to be reminded when the time has come to sign up. In addition, help spread the word by placing these cards in caches! This is especially important if you live outside the US and don’t want to pay extra shipping costs. (Here on Google Drive). Signups start on Nov. 19, when a thread will be up with more information. Signups end and gifters are matched on Dec. 4. The shipping deadline is Dec. 18. Thanks, and see you soon! Win a SCOTTeVEST Featherweight Vest to hold all your gear! For all you cachers out there who carry a lot of gear with them during every adventure, we have just the giveaway for you. Introducing SCOTTeVEST, a clothing line for men and women with specially engineered pockets that keep all your gear secure and close to you, leaving you free to focus on finding that next cache, not where your stuff is (or isn’t!). SCOTTeVEST clothing can hold all the gadgets and daily essentials cachers normally would fumble through a purse, backpack, or fanny pack to find, and have embroidered pocket icons to help organize maps, smartphones, flashlight, GPS, books, sunscreen, bug spray, sunglasses, water and more. Every garment includes a patented Personal Area Network (PAN), which is a network of hidden conduits to connect wires to devices while they are in your pockets, including power banks, charging cables or headphones. 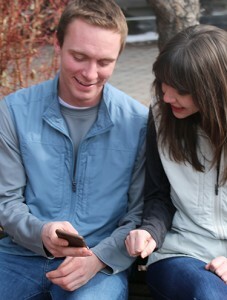 This feature is key when out away from an outlet – relying on electronics. Never again will your GPS or smartphone die on you before you reach your destination and you won’t get tangled up with wires, external batteries, and electronics all stuffed into one pocket. 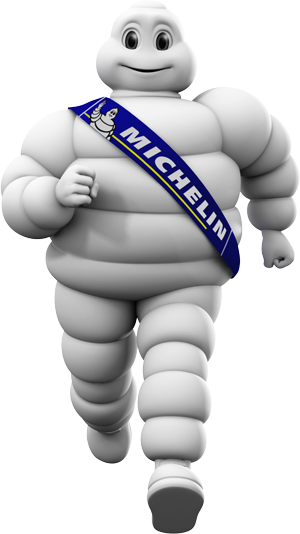 All garments feature staggered interior/exterior pockets so contents don’t overlap (or make users look like the Michelin Man); as well as a Weight Management System (chiropractor tested!) to ensure maximum carrying capacity and maximum comfort. Rules: To enter, provide your name and email address in the form below. One entry per person, and one entry per email address. (We will never share your email address, and the Google Doc storing the entries will be deleted after the contest). Contest is only open to residents of the United States and Canada. The contest begins upon publication of this blog post on Monday, August 8th, 2016, and ends at 8:00 PM Eastern Standard Time on Monday, August 15th, 2016. The winner will be chosen at random from the entries received, shortly after the end time of the contest, using the services of the website random.org. Winner will be notified via email, notification being sent from the email address opencachingnorthamerica at gmail.com (be sure to check your spam folders! ), and must respond within 48 hours, or the prize will be forfeited, and another winner will be chosen. Once the prize is accepted, you must provide a valid mailing address, and the prize will be sent out via the U.S. Postal Service from SCOTTeVEST.